Through March 31st 2019, Kinsta is offering free migrations from WP Engine, Flywheel, and StudioPress. The free migration does not cover setting up a Bedrock site, but if you’re already using WP Engine, Flywheel, or StudioPress, then now is a perfect time to migrate your existing sites for free. I migrated a site from WP Engine onto Kinsta that got over 1 million views and had ~1500 active users all day. WP Engine couldn’t handle the traffic, but Kinsta had no issues keeping up! This site happened to be using one of the most popular themes from ThemeForest that creates admin-ajax.php requests on every single page load to handle serving icons on the front-end. 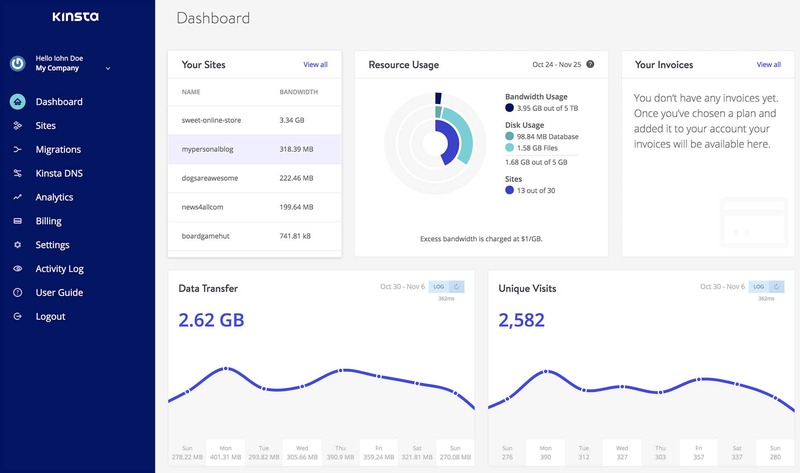 Despite the built-in performance bottleneck, Kinsta served the site with ease. Many thanks again to @kinsta for being such a great host. Their support team is incredible and they’ve made my development life easier! Started moving sites over to @kinsta. Super impressed with with speed! AND they let me use @rootswp’s Bedrock and even Trellis deploys? Kinsta earned itself five Top Tier WordPress Hosting Performance Awards in 2018. It had perfect uptime across every plan. It had zero errors on Load Impact. It had 2/5 Load Storm tests without any errors and only 52 errors total from 3.685 million requests. No signs of stress showed on any test. Kinsta has consistently brought their A game to WordPress Hosting Performance Benchmarks, this year was no exception. It’s nice to see them offering newer, cheaper plans that allow people on smaller budgets access their offerings. A huge congratulations to them for earning the most Top Tier Hosting Performance awards of any company in 2018. Need reasons to convince your client or boss to make the move? Switch to a managed WordPress host that you can trust.